Paintings of real-life Westhampton, completed by 24 local artists during the week of September 24th were on display and for sale at the Party. Located in the Plein Air tent, they depicted each artist’s interpretation of Westhampton’s streets, sidewalks, homes and storefronts. 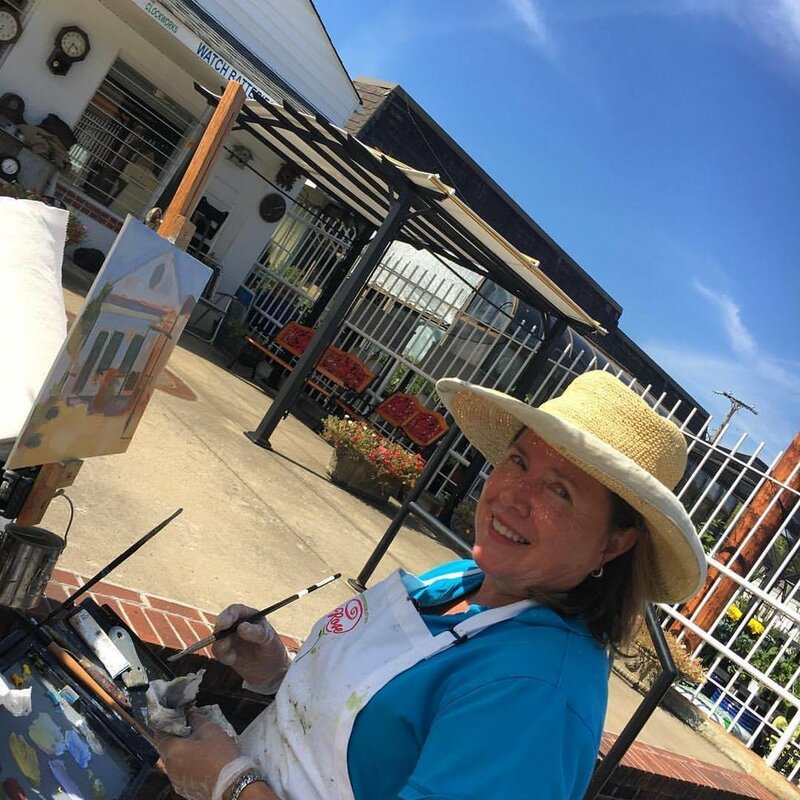 10% of Plein Air Art proceeds benefited FETCH-A-Cure – an organization providing pet owners with awareness and access to pet cancer treatment. Learn more about FETCH here: fetchacure.org. Remaining paintings were available for purchase the month after the Party in store and online at Palette Home (5813 Grove Avenue): palettepaint.com/art/art-for-sale/-air/. Paintings were also available for purchase before the Party on Instagram @buypleinairwestrva. Visit instagram.com/buypleinairwestrva/ to view all of this year’s paintings.